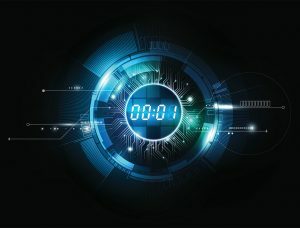 Swift is looking to bring cross-border payments times down to “instant” in a new trial that it has begun in Asia Pacific, focusing on settlements into Australia. It will pilot an improved version of its global payments innovation (gpi) service, which was launched in January 2017 to bring faster cross-border payments to its network. So far, Swift has managed to reduce payment clearing times to under 30 minutes in more than half of gpi use cases. Now the company will seek to reduce this further. Swift’s new “gpi real-time service” will be tested using Australia’s new payments platform (NPP), an instant payments platform that went live earlier this year, and which has so far been used to process domestic payments. Swift was commissioned by the Reserve Bank of Australia (RBI) to design and build this solution in 2015. This move to improve the gpi service will involve banks from Australia, China, Singapore and Thailand. These are: ANZ, Bangkok Bank, Bank of China, China Construction Bank, Commonwealth Bank of Australia (CBA), DBS, ICBC, Kasikornbank, National Australia Bank (NAB), Siam Commercial Bank, Standard Chartered and United Overseas Bank (UOB). The banks had previously been involved in workshops around instant payments with Swift. Whether or not the new gpi service replaces the existing one is undecided: Swift is waiting for the results of the trial, which it plans to announce at Sibos, its annual banking, finance and fintech conference, which takes place in Sydney this October. “The gpi real-time service is a critical step in delivering cross-border instant payments. The commitment and support we have from Asia Pacific’s leading banks is a strong indication that they understand the immediate value of partnering with Swift to realise a fast, secure and seamless cross-border real-time payment service that scales globally,” says Eddie Haddad, managing director at Swift in Asia Pacific. Already, the gpi is being used to settle US$100bn in payments every day, according to Swift. It has been gaining traction in Asia Pacific. In June, 10 Chinese banks went live with the gpi service, with 17 others in the process of implementing it. In July, Swift announced that all 10,000 banks on its global network will use gpi by 2020, after Swift was impressed by the progress made with the technology since its launch. Sun Shangbin, deputy general manager in Bank of China’s clearing department, says the instant gpi would “substantially enhance cross-border payments efficiency, providing high-quality service experience for our customers”. Silawat Santivisat, executive vice-president of Kasikornbank in Thailand adds: “The keen competition amongst payment channels, competitive transaction fees and transaction speeds offered by new entrants, mean that a faster Swift gpi service is crucial to driving international payments. While real-time payment is common for domestic transfers, it is an innovation for international payments.” He may be referring to competition from outfits like Ripple, which have been able to reduce payment times to instant – or close to it – by using blockchain technology. Swift, for its part, has trialled blockchain for nostro account reconciliation, but has not been convinced that it is a technology ready for use at the required scale. At an event in Hong Kong in June, a Ripple executive dismissed the gpi service as being only a marginal improvement on the traditional Swift offering. “Swift was built 40 or 50 years ago, before the internet was created. So their architecture is very old. They realise that this is a big problem and they consider us a big competitor. They’re also trying to make a big improvement based on the existing architecture, called Swift gpi. We consider it just a marginal improvement of their existing architecture,” said Ripple’s director of joint venture partnership, Emi Yoshikawa The market, however, will welcome another move from Swift to reduce payment times. It is used across the board by banks around the world and the likelihood is that most would prefer to use a payments service from a company they know and trust, rather than using a new player. “Swift’s new instant cross-border payments service is an important industry initiative that will complement our efforts to provide clients more control of and insight into their transactions,” says So Lay Hua, head of group transaction banking at UOB. The post Swift trials instant cross-border payments in Asia Pacific appeared first on Global Trade Review (GTR).